Denna produkt ger dig 648 bonuspoäng. Baggagevagn Pwgs typ DR, längd över buffertar 11,9 cm, epok IV. 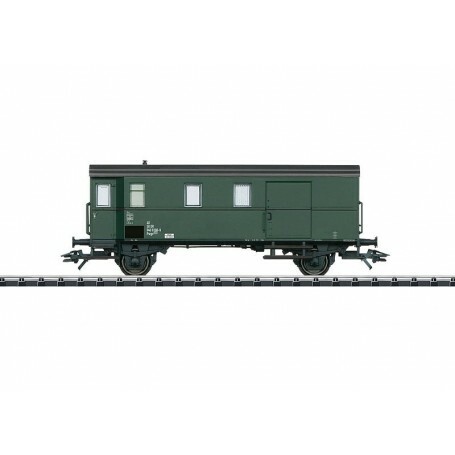 Prototype: German State Railroad (DR) type Pwgs 9400 baggage car. The car looks as it did around 1983. Model: The car has a 'Bottle Green' basic paint scheme without a roof cupola. The underbody has separately applied brake rods. Length over the buffers 11.9 cm / 4-11/16'. AC wheel set E700150. The steam powered rotary snowplow to go with this car can be found in the TRIX H0 assortment under item number 24126.